I was very curious to try and understand what Erika meant when she said there was essentially no difference between the ‘styles’ of Macdonald, Carrington and Barlow because “they are all about teaching“. Some years later I reread what had been written about the first teacher training course by Lulie Westfeldt in particular (F Matthias Alexander: The Man and His Work1 ), Walter Carrington and Marjory Barlow and went back to what Erika had said about FM and the first training course in her Annual Memorial Lecture and other writings. What follows is my personal perspective based on the published material referenced in the footnotes and the conversations I had with Erika over a period of several years. During the first training course, which began in 1931, some of the students became frustrated that they were not, as they saw it, being ‘taught how to teach’. Although they maintained their respect for FM’s knowledge and abilities, they did not think he was giving them the necessary help to learn how to do what he was doing. This group consisted of Patrick Macdonald, Lulie Westfeldt, Kitty Merrick and Marjory Barlow (née Mechin). They began to observe what Alexander was doing and tried to recreate it themselves by working on each other. “One of my colleagues (Patrick Macdonald) came out and expressed our problems in words, clearly and forcefully. He said in effect, ‘We have missed the boat. We really do not know what the Primary Control is. We cannot get it at will with our hands. We have got to realize this as we work, and somehow or other pull ourselves up by our own boot straps until we have some solid ground under our feet.’ We had known it in a way, but not with sufficient clarity to be able to express it. WIthout his clear sensing of the problem and his creative thought in helping us solve it, we would have failed as teachers, fourth year or no fourth year. When Walter Carrington joined the course he was largely influenced by key members of this group. Then what of the other group? If they did not agree with Macdonald’s assessment of the situation and his way of dealing with it, what did they think they were there to learn and how did they go about it? This group consisted of George Trevelyan, Erika Whittaker, Gurney and Jean MacInnes, and Irene Stewart. Neither Marj Barstow nor Margaret Goldie were part of either of the student groups: according to Erika, Marj “was in the middle somewhere”7 and Margaret Goldie was ‘part of the inner circle’8 (i.e the Alexander brothers, Irene Tasker and Ethel Webb). “I had learnt that from her in those early days and took that knowledge with me into the training course when it began in 1931”. “She (Irene Tasker) used to ask us to dinner in her tiny flat and one person would peel potatoes, another do the sprouts, another do something else, but it was all to do with keeping your length in a useful activity, some people sitting on the floor and some on the sofa. And why not sit on the sofa? Be comfortable! Sit right back with the support behind your back and make yourself comfortable. It was all very alive and with the idea that you carry the Alexander work into the things you are doing. You are observing and not just standing around ‘doing Alexander work’. So Erika and the others in Trevelyan’s group were not dissatisfied with the training course. Visiting training courses after a gap of half a century, Erika saw the consequences of those events in the 1930’s. Many students were struggling to make the link between the kinaesthetic experiences of the hands-on work and daily life. What to Erika had been a fluid and experimental investigation of the inner content of Alexander’s discoveries had now taken on a definite form – with procedures, checklists and regulations. Now we are all copying Alexander. Erika’s comment that it was “all about teaching” began to make sense. She always refused to ‘play the role of the teacher’, gently shifting the character of each encounter to sharing moments in time and space; you were simply being with Erika. All this is not meant to criticise or denigrate all the wonderful teachers who do teach by releasing muscle tension, by ‘taking people up’. On the contrary; thank goodness for them and the pioneering work of the first generation teachers and their dedicated students. But perhaps a whole other discipline, glimpsed by that ‘other group’ all those years ago – less about ‘teaching’ and more about ‘living’ – has yet to evolve. 1. F. Matthias Alexander: the Man and his Work, Lulie Westfeldt, p 135. Published by Centerline Press, California (back to text). 2. Ibid. p 41 (back to text). 3. An Examined Life, Marjory Barlow, p.81, 2002), Publisher: Mornum Time Press; First American Edition edition (October 2002) (back to text). 4. Walter Carrington on the Alexander Technique in discussion with Sean Carey, Sheldrake Press 1986, p13 (back to text). 5. Walter Carrington on the Alexander Technique in discussion with Sean Carey, Sheldrake Press 1986, p13 (back to text). 6. An Examined Life, Marjory Barlow, p.80, 2002), Publisher: Mornum Time Press; First American Edition edition (October 2002) (back to text). 7. Ibid, p.197, 2002), Publisher: Mornum Time Press; First American Edition edition (October 2002) (back to text). 8. In conversation with the author (back to text). 9. Hans Schümann was granted a post at the German Consulate in Shanghai by Kaiser Wilhelm II. 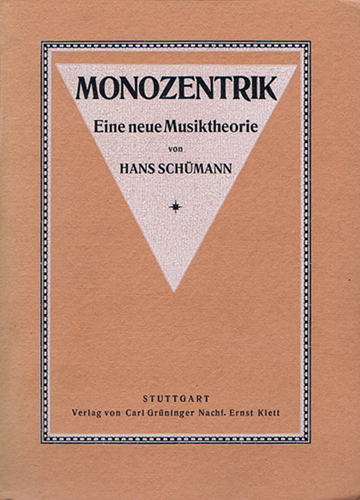 He published in 1924 an esoteric text about correspondences between mathematics, music and universal laws; Monozentrik. Eine neue Musiktheorie, Stgt., Grüninger Nachf. Klett 1924. (back to text). 10. Alexander’s Way, Erika Whittaker, STAT Journal No 13, Autumn 1993, Editor; Adam Nott (back to text). 11. Memorial Lecture, Erika Whittaker, 1985, STAT (back to text). 12. Alexander’s Way, Erika Whittaker, STAT Journal No 13, Autumn 1993, Editor; Adam Nott (back to text). 13. Memorial Lecture, Erika Whittaker, 1985, STAT (back to text). 14. In Japan, for example there are strong ties between Buddhism and Hitsuzendo (Calligraphy), Ikebana (Flower Arranging) and some martial disciplines. The outer activity is also a medium for inner, spiritual work. Erika sometimes mused about possible links between craftwork Alexander work. (back to text).